In this article, we will install Linux / Debian 9.8 step-by-step on a virtual machine using VMware Workstation 14/15 Pro. VMware Workstation Pro is the most popular virtualization software developed by VMware. One of the operating systems widely used in the Linux world is Debian. The latest version of the Linux-based Debian operating system is 9.8. You can build it on your physical computer or install it on virtual machines. To run this Linux distribution on a virtual computer, you can follow the steps below. First, you need to install the VMware Workstation 14/15 Pro virtualization program on your computer. You can check the following articles to setup on Windows or Linux. To build Linux on the virtualization program, you must create a new machine. You can check the following article for VM installation on VM program. Don’t forget to choose “Debian 9.x 64-Bit” in the operating system selection window when creating a new VM! Download the latest version of the system from here to your computer. 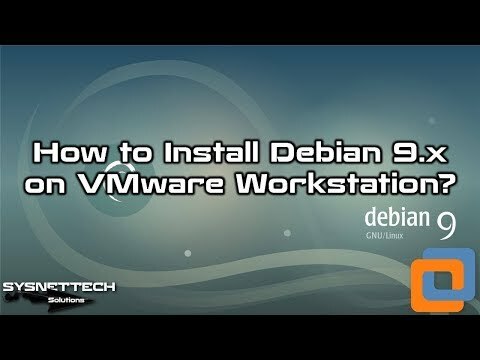 Watch the video to install Debian 9.8 in the VM step by step. After setup, you can setup the VM Tools to make the machine more functional and transfer files between the host and the guest machine. You can watch the video below to setup on Windows 10 using the virtualization program on Win 10 PC, and you can also subscribe to our YouTube channel to support us. 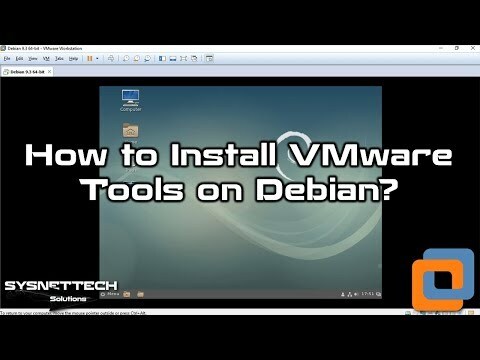 You can watch the video below to setup VM Tools in the virtual machine running in VM Workstation. In this article, we have installed Linux / Debian Stretch in a Windows 10 PC using the virtual machine program. Thanks for following us!